Having been in business for a long time before becoming a teacher I have a very good grasp of the terminology. I also have a good working knowledge of many business roles. I have been teaching this as part of my lessons since I started teaching, I feel it is a very important part of the Language. I each this when people are having to travel, for work or for pleasure. See working with English People. This is part of everyday English, I have always included it in my lesson plans. I am a confident and friendly tutor, I love teaching and mentoring, passing on my experience and knowledge to others, I enjoy helping people improve their knowledge of the English language. I create the lesson to the needs of the student, so that each lesson is individual. I have been an ESL teacher/tutor/mentor for over 12 years now. It has allowed me to travel to many countries, and meet some very interesting people. 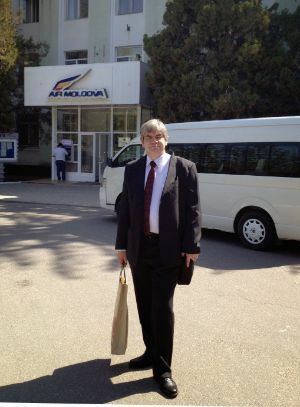 During that time I was also a Senior Lecturer at the Technical University of Moldova, teaching not only English but a number of other Computer/Social subjects. I also teach IELTS and TOFEL Preparation courses, I have had very good results. My approach is one of friendliness, I work with the students to create lessons that mean something to them. Each set of lessons is tailored to the student, I can work from books but prefer to create the lessons based on the requirements of each student.